Tewaaraton Watch List member Wesley Berg (Coquitlam, B.C.) broke Denver’s career points (217) and goals (158) records, leading the [5/5] University of Denver men’s lacrosse team to an 18-5 win over St. John’s on Saturday afternoon at Da Silva Memorial Field. Fellow Tewaaraton Watch List member Connor Cannizzaro (Cazenovia, N.Y.) had a game-high six points on three goals and three assists. The hat trick was his team-leading seventh of the season. Inside Lacrosse Preseason All-American Zach Miller (Steamburg, N.Y.) had four points on two goals and two helpers of his own. Juniors Jack Bobzien (Littleton, Colo.) and Colin Woolford (Norwalk, Conn.) also scored a pair of goals in the winning effort. Berg opened the first quarter with his 25th goal of the season off a beautiful feed around the cage from Cannizzaro. 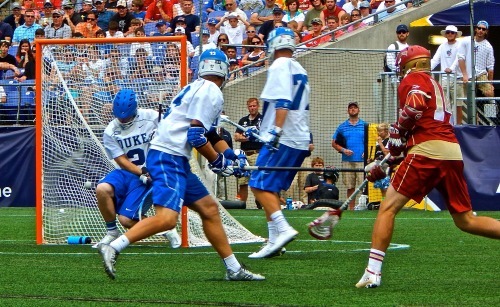 The Maryland transfer scored a goal of his own 12 seconds later to double Denver’s advantage. 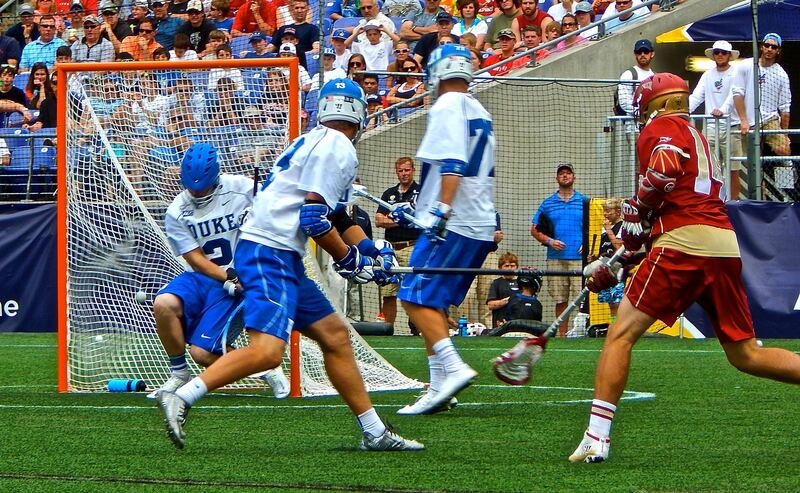 Bobzien answered a St. John’s goal with his 11th of the campaign to round out the first-quarter scoring. The reigning USILA National Player of the Week started the scoring in the second quarter as well, netting three of Denver’s first four goals in the quarter, including both record breaking goals. Woolford added a pair of goals in the quarter as well, to go along with one from Miller, Cannizzaro and Bobzien. The Pioneers outscored St. John’s 8-2 in the second quarter to take an 11-3 lead into the locker room. Denver also held a 23-8 edge in shots, and recent Tewaaraton Watch List addition Trevor Baptiste (Denville, N.J.) went 13-of-16 in faceoffs in the first half. Baptiste finished the game 15-of-23 from the X.
Miller opened the second half scoring with his second of the afternoon, this one on the man-up. Adamson and senior captain Sean Cannizzaro (Cazenovia, N.Y.) also put up tallies for Denver in the third quarter, as the Pioneer defense limited the Red Storm to just one goal again in the third quarter. Redshirt-junior Walt Rooney (Rockville, N.J) scored his first career goal to highlight the scoring in the fourth quarter. Sophomore Dallas Bridle (Orangeville, Ontario) also tallied his first career assist in the fourth quarter, providing the helper on the backend on Connor Cannizzaro’s 11th career hat trick and his seventh of the season. Junior defender Pat Karole (Glen Ridge, N.J.) forced a career-high four caused turnovers in the contest. Denver will host its regular season home finale on Saturday against Providence at 1 p.m. MT at Peter Barton Lacrosse Stadium. Saturday’s game will air live on Altitude TV and be broadcast on 105.5 ESPN. The Pioneers will honor their seniors prior to the 1:05 p.m. faceoff. Tickets are on sale now for the 2015 NCAA Quarterfinals at Sports Authority Field at Mile High. Fans can purchase tickets for the quarterfinal games at the link here. – Bill Tierney is now 347-118 all-time (31st season) and 75-25 at DU (sixth season). – Wes Berg increased his team-leading active-point streak to 30 games (entered week 12th in nation), while Zach Miller increased his to 29 (entered week 16th in the nation). – Denver is now 30-9 as a top-5 team, including 10-2 as the No. 5 team. – Zach Miller moved into seventh on DU’s single-season assist list. The sophomore now has 23 on the season. Connor Cannizzaro also has 23 assists on the campaign. – Connor Cannizzaro moved into 10th place on Denver’s single-season points list with 56.